BEIJING - Alataw Pass, the largest land port in northwest China, saw an increase in the number of China-Europe freight trains and freight volume in the first seven months of 2018, local authorities said. 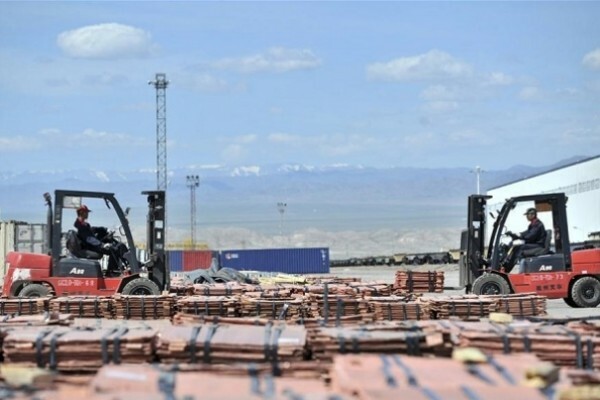 More than 1,320 China-Europe freight trains carrying 577,600 tonnes of goods passed through the port in Xinjiang Uygur Autonomous Region between January and July, up 32.4 percent year on year, according to the port's administrative office. The port on the China-Kazakhstan border has become a busy transportation hub since China proposed the Belt and Road Initiative. Around 70 percent of China-Europe freight trains pass through the port each year. According to the local customs office, over 6,000 China-Europe freight trains had traveled through Alataw Pass as of Tuesday since 2011, when the first China-Europe line was launched between Chongqing and Duisburg, Germany. Li Hongfeng, a customs official, said that the average waiting time for China-Europe trains at Alataw Pass has been reduced to around 15 hours from 24 hours years ago. Ten China-Europe railway routes pass through Alataw, reaching 36 cities in 13 European countries.